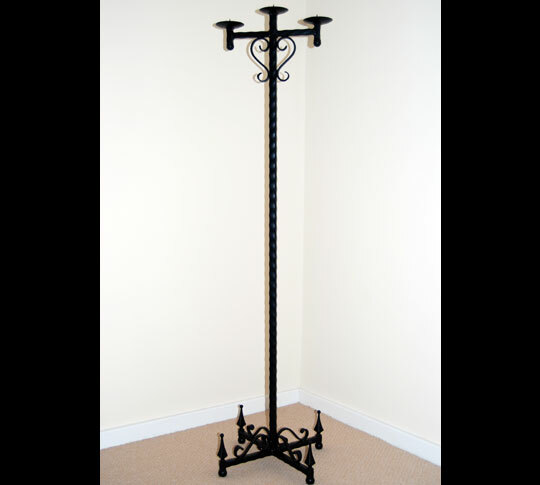 A Gothic styled freestanding wrought iron candle holder that doesn't take up too much floor space. Made from hammered edge square tube. Will hold 3 church type candles. Dimensions - height - 158cm/62 inches, width - 46cm/18 inches.